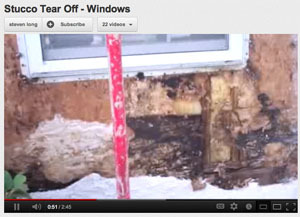 Here is an informational video on a Stucco Failure. This video shows you the need for a moisture control system using Keene Building Products’ Driwall Rainscreen mat and also Amico EZ Bead. Learn more about how to prevent your exterior walls from moisture damage.